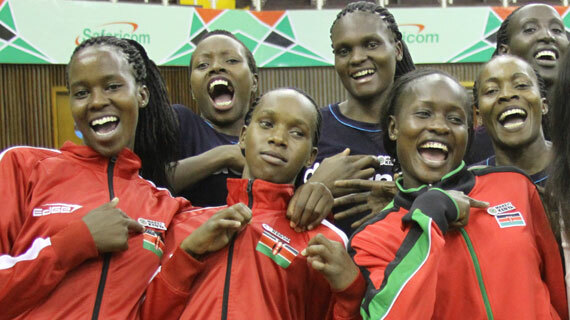 In a shocking turn of events, the State department for Correctional Services has ordered for the immediate repatriation of the Kenya Prisons women’s volleyball team from Cairo, Egypt where they were taking part in the African Club Championship. In a statement signed by Principle Secretary Zainab Hussein, the team was in the country without the consent of the department under which they fall. Hussein says her attention was drawn by various media reports of the team’s struggles in Cairo where they had been detained for failing to clear hotel bills. She said they had not been given permission to leave the country. Prisons arrived in Cairo less than 24 hours to the serve off of the competition after struggling to get clearance from their parent department. It is now absurd that it is claimed they traveled without prior permission. The team is now said to be arranging on travel back to Kenya and that will mean they forfeit their classification match against Congo’s DGSP scheduled for Friday. They had failed to make it to the quarter finals after losing 3-1 to host team El Shams on Wednesday. It is also reported that the team's hotel clearance was supported by the Kenyan Embassy in Cairo. Before the latest turn of events Kenya was being represented at the competition by the teams , Kenya Prisons , KCB and Kenya Pipeline. With Pipeline having qualified to the last eight , Prisons and KCB did not make the cut in their pools and were set to play in the classification matches that start on Friday.